If you'd like to share your Bikram Yoga story, please email us at info@bikramyogabrooklyn.com. I wear many hats; I play many roles. I'm a woman, a mother, a wife, a daughter, a sister, and a friend. Often times I lose myself in all of these roles I play. Bikram yoga has helped me discover myself in a way I had never known before. I began a regular practice in March 2009, and for the first time in my life, I became so passionate about something. This yoga is part of who I am. Bikram once said that the most important person in your life is you. At first I was taken back by this statement. What is he crazy? How can he say that? Soon, however I discovered how right he really was. Not only was it okay to take care of myself, but it was important to do so. It is because of this yoga that I am able to play all of my roles and do each with a sense of peace and joy. Yoga is a mental discipline. It is a tremendous challenge to go through each pose and hold the balance. In the yoga room, I try to still my mind and let my body move with the words. Stilling my mind is the hardest part. On those rare occasions, if only but for a few moments, when I still my mind long enough, I go beyond my edge, beyond what I thought was possible. I now understand why this yoga is called a moving meditation. A wise teacher once said to me that your mind is a wild animal that you must tame. This is so true. So many of us are consumed with the future and yet it is how we live today that creates our future. In the yoga room my mantra is "Be here, be now". With a continued Bikram practice, my future remains bright. I've come across some of the most amazing people I've ever known at this studio. The teachers lead by example and suffer along with us. I've made friends that I feel I've known all of my life. All of them have inspired me to be the best I can be. I am no longer fearful of what I am not capable of doing, but rather amazed at how much I can do. After each and every class, I feel a strong sense of peace and accomplishment. I take this feeling with me throughout the day and share it with my two adoring children and everyone around me. The universe is a wonderful place and Bikram Yoga has taught me to truly appreciate it. I was always into health & fitness; I played racquetball before yoga. My husband told me to "come you'll enjoy it." I took one class and I was in love with yoga. My husband stopped coming but I kept going. Had you done other kinds of yoga? I tried "hot yoga" before, but Bikram Yoga is my love; it's my passion. Other than my son, yoga is my passion. What are your favorite things about Bikram Yoga? I love the way it makes me feel; I love the way my skin looks; I love the energy and the strength that I get from it. What's the best thing about Bikram Yoga Bay Ridge? It's my second family... I really mean that. My biggest challenge was staying in a pose and holding the postures. I look at things in a different way now. I look at what's important versus what's not important. Now, I let the easy things go. This yoga gives me the strength to view life differently; it gives me a positive attitude about me. How do you motivate yourself to keep coming back? It's a lot of work, but I think of the results I get from it afterwards... it's not easy but it's all worth it. I think the people that haven't tried Bikram Yoga should try it at least once and see how they feel. Any last thoughts you'd like to share? I was thrilled when BYBR opened in the neighborhood -- it was needed here. I really appreciate all the wonderful teachers and the support they give to me and all the other students. When I was a child, I read a yoga book and I always found the whole idea fascinating. About 5 years ago I did yoga every Thursday night with the fire department. I did these classes for about a year. I love the structure of each session. It's disciplined and there are no surprises. I know exactly what to expect. I think the program is well thought out and thorough. It's four blocks from my house! At my first class, my biggest challenge was the heat. After that first class, overall I'd say my biggest challenge is controlling my breathing. Over four months it has improved a lot. After about six weeks of practicing, I started to experience a calmness/peacefulness that was a complete surprise to me. I have emotionally toned down in a good way. I have always worked very hard at whatever I set my mind to, whether it was swimming lessons or preparing to become a fireman. I don't give myself a choice. Have an open mind. Expect it to be tough but expect it to work. It's worth it. I'm very happy I'm here; all the teachers are awesome and dedicated. This is a home run! Sometime during the Winter of '08 I was walking on 83rd Street and happened to run into a friend of mine, Jeff, a contractor who was building out a new store on the corner Fifth Avenue. He took me in for a tour and explained to me what the space was intended for. He told me all about this new exercise craze... people doing yoga in intense heat. I thought he was pulling my leg. People intentionally enduring high temperatures while doing yoga poses? To sweat? In an orange and purple room? This felt wrong on so many levels. Bay Ridge wasn't ready for this, I thought cynically. In 6 months this will be just another nail salon! But strangely, this non-distinct little brick corner studio must have had some sort of staying power. For two years, as I did my errands or circled around looking for parking on Fifth Avenue, I would curiously notice the sweaty people leaving... or milling about inside... and I would shake my head and wonder why. But I have to admit I was intrigued. Not enough to actually walk into the studio and inquire... but enough that it stayed within my peripheral vision. What brings people here, I often wondered, and what do they take away with them? I just couldn't figure it out. Besides fast-walking I never really exercised. I was in pretty decent shape because of my active lifestyle. I am an artist, an entrepreneur and a single mother. Not an easy combination by any stretch of the imagination. I own and operate a decorative painting company that specializes in faux finishes, Divine Rooms. My life and my work largely rely on my physical strength, stamina, skill and agility. Just living my life is a "work out." It's not easy to maintain a home, raise an active young boy and haul paint cans or climb up and down ladders all day. For years I took my health and my youth for granted. I smoked cigarettes. I drank lots of wine. I ate whatever I wanted. It was nothing to coast on 5 or 6 hours sleep, a few coffees and the sheer will to succeed. Then, last winter, life woke me up with a thump and said in oh so many ways: that's over! And my body chimed in and said: you'd take better care of me... because I'm all you got! I turned 40 and almost like clockwork things started to wilt. My complextion changed. My back hurt. Somehow, I was making it through each day. But I was tired of pushing myself and I have to admit, I was depressed. A fellow artist friend began chirping in my ear about how wonderful her life had become since starting a yoga routine, at, you guessed it, a Bikram Yoga studio in Williamsburg. She was in great physical shape and I noticed her posture had improved. At the risk of sounding too poetic, I must say she looked almost metamorphisized. I wanted what she had. That peace. The glow. An exercise that gives you energy? Keeps you youthful? Works all your organs, muscles and tendons? Cleanses and detoxes? Improves your emotional balance? I thought of the non-distinct little brick corner studio just 5 blocks from my home... and I knew in my heart I had to try it. The very next day I found myself nervously sitting on my brand new yoga mat, in this very, very hot room, anxiously surveying the crowd, wishing I had brought a bigger towel and more water, barely able to breathe. I silently prayed I wouldn't get sick, or worse die, and wondered why it was so quiet. I told (warned) the two people next to me this is my first class... and I'm really clumsy... They smiled and assured me I was going to be OK. Suddenly, the flourescent lights flip on and a shirtless man in tight, tiny yoga pants welcomes the group. We stand up for Prana Yama Breathing and I am already sweating... oh dear... I have no idea what is in store for me.. but I let it all go and decide to just flow with the experience... and simultaneously, at that moment, I cross a threshold. At that moment I am at my most naive and my most brave. I take the proverbial leap of faith. I have no idea how profoundly that 90 minutes is going to change my life. I somehow make it though this class without dying. The next morning I wake up sore all over and feel a strange sensation, like a tiny electrical current of positive electrical energy is running throughout my body. I feel something I haven't felt in a really long time: alive. It's been six months now, and I guess you can say I am hooked. I feel stronger. I am more disciplined. My balance is better. My skin glows. I am more emotionally stable. I feel purified from the inside out. Gone are the blues, gone are the restless, sleepless nights. There is an incredible sense of satisfaction and accomplishment after each and every class. I enjoy the friendly, familiar faces at the studio. I feel like I am a part of a meaningful movement, I feel like I'm part of something important. When I am practicing I feel connected to something. The edge is now gone from daily life. I feel softer, lighter, happier and healthier than ever. My work has improved and my stamina for physical labor has increased. I swear I feel younger than I did 10 years ago. My body feels like a finely tuned instrument. Nothing good in life comes easy, and this is no exception. It's a big work out and a huge commitment. I still hate to sweat. And some days I am so tired from working so hard. But I come anyway. It's a love/hate relationship. I hate it while I'm there but I love it after I leave! I guess there is definitely a beautiful duality about Bikram Yoga. You are alone in your practice and yet you are in a room of people. It's a pretty "loud" experience: the heat, the sweat, the pain... but it's also a place that forces you to hear your own silence. You will fight to find your peace. For 90 minutes you will put 100% of your head and heart into a practice that somehow manages to reveal your soul. Tense, stretch and release... and get ready to sweat out all of the tears you can't cry. I saw a t-shirt recently that to me sums up the essence of Bikram Yoga perfectly, it said: "Pain is weakness leaving your body." How true! My entire relationship with myself and my life is truly evolving. And this is totally and directly proportionate to my new relationship with pain. In the human experience pain is unavoidable. I have learned that pain is not something to fear. It is simply something to move through. As soon as you make the decision that pain is temporary and you are brave enough to feel it, it's over. Gone. That's it. I am devoted to pursuing Bikram Yoga because this practice has replaced my weakness with strength of mind, body and spirit. Every day I tell myself what I learned in class: keep bending and you will never break! How long did you practice Bikram Yoga before becoming pregnant? How often did you practice throughout your pregnancy? An average of 3 times per week. In the middle, I would practice at home. Were you nervous about the heat? What made you feel better about it? Doing research, speaking to teachers, taking my temp during class, and leaving when I needed a break. If you go online and read people's comments about practicing while pregnant, it's very interesting to hear all the different stories. What did your doctor say about continuing to do the yoga? My original Dr. told me I shouldn't do it. My current Dr. doesn't know I do it. I think they don't know enough to make the call. Was it hard to learn the pregnancy modifications in class while everyone else was doing the regular postures? No, not at all, probably because I had the DVD and practiced at home. Are the pregnancy postures difficult? How do you feel when you're doing the yoga? What's your favorite posture now? Do you recommend other pregnant women do this yoga? Yes, highly! I've had a phenomenal pregnancy and I attribute that primarily to keeping up my practice. Any advice for other pregnant women? Keep practicing, do what you can, enjoy it! You have your good days, and you have your bad days. Great! Ready to have the Bikram Baby! August 1st. So I'm 39 weeks pregnant now. I've changed so much emotionally since I started doing Bikram Yoga. I don't know what my pregnancy would have been like (emotionally & physically) without it. Jasmine has been practicing Bikram yoga for five years and in that time she's seen amazing changes in her body. "Everyone tells me I'm so flexible. I tell them it takes time. In the beginning I could not touch my hands to the floor. In the beginning I would turn to the side instead of doing sit-ups. In the beginning I could not lie flat on the floor, I would turn on my side. Now it's no problem," Jasmine says. All of these changes in her body came through consistent and hard work. Jasmine practices six times a week. She says her primary motivation is how good the yoga makes her feel. Jasmine suffers from a very long tailbone that once made sitting on hard surfaces and even sit-ups very painful. As her body has grown stronger and reshaped through consistent practice she says that both of these activities are no longer a problem. Jasmine also has a scar from open-heart surgery that she had ten years ago. The thick scar on her chest also limited her movements at times. 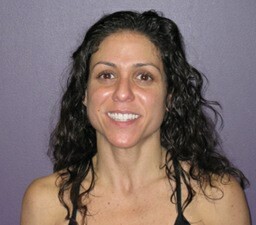 She credits Bikram yoga with helping to stretch and soften the scar so that she is no longer hindered by it. Jasmine's favorite postures are camel because of the flexibility it gives her spine and toe stand because she's now able to hold the balance. Her advice to newcomers: "Come more. Listen to the teachers. The more you come, the more you learn. Every teacher has different skills and techniques." 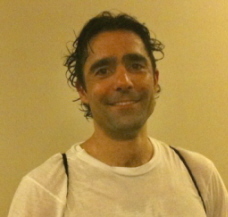 Robert took his first Bikram Beginning Yoga class about a year ago at the Bay Ridge Studio. He had tried other kinds of yoga, but he wanted "something more challenging." As a football and soccer player, he was looking for something that would help stretch tight muscles and prevent injury. Initially, Robert says, "I wanted to do it for the stretching, now it's more than that - it's a release." "When I get out of class," he says, "I feel new." Robert recounts how every class is different and challenging. While it's helped improve his physical strength and flexibility, he recalls, "It's not just physical, it makes everything else you deal with in life easier." He remembers how he was not prepared for his first class. "I knew it was hot, but not that hot. I didn't know if I could continue, but the instructor encouraged me to come back. And I did come back and it was better." His advice to beginning yogis: "Do the best that you can - not as a competition with yourself, but pay attention to how you feel and observe what you are experiencing. When you put yourself in extreme conditions, it highlights things about yourself - things you don't see day-to-day." Robert's favorite postures are Awkward and Camel. He particularly likes the second and third parts of Awkward, "they are a challenge and I like really pushing myself." For Camel, Robert most enjoys the savasana between the first and second pose. "That's when I feel the yoga having an effect on me." I met Katie Hedges during our Teacher Training in September of 2005. Immediately, I knew that she and I had nothing in common. How could we? She was covered in tattoos and piercings, rode a big red motorcycle with red flames to and from yoga headquarters, and was always front and center at the teacher's podium, still holding the postures when the majority of us (about 240 of us) had fallen out and given up. I cry when I get a shot at the doctor's office, I think motorcycles are dangerous and scary, and tried to hide myself in the sea of bodies as much as possible during training. I thought Katie was like no other female who had come across my radar. I could not see any common ground between us besides our love for Bikram's 26 postures and 2 breathing exercises and our desire to teach this yoga. It's easy in training to avoid getting to know your fellow trainees. You're busy, tired, and trying to survive, and you quickly learn who is there to work hard and who are the drama queens. Teacher trainees daily fell to pieces and were seen moping or crying endlessly in the hallway, parking lot, locker room, and yoga room. It was a daily routine to ask a sad-looking, sweat-soaked, half-naked yogi if they were okay or needed anything. This is how I ended up having my first conversation with Katie. About two-thirds of the way through training, I saw Katie sitting in the hallway outside of the yoga room in-between classes and lectures. She looked forlorn and completely sad. I sat down on the floor next to her to ask if she was okay. I mean, if "Motorcycle" (Bikram's name for her) was looking sad in the hallway, the rest of us mortals had no hope. I think she had an injury and was worried about how she would be able to practice later. She was eating a raw foods lunch and I learned she was a vegan, from New Jersey, was as neurotic as I was and I discovered I liked her in those 15-20 minutes. After that, it was brief, but friendly exchanges in the hallways. The next time I saw Katie, was in a class I was teaching in Brooklyn Heights, shortly after we graduated. She was heading to New Mexico. In the summer of 2007, I ended up in Santa Rosa, CA and Katie was in San Francisco. We met again practicing at a Bikram studio in Berkeley, and from then on we have stayed in touch and become friends. Katie inspired me to work harder in class regularly, because I could see how hard she worked to improve her practice. It turned out that she wasn't born strong and flexible. Her strength and flexibility came from hard work and A LOT of practice, and she overcame many personal hardships to get there. Katie took her first "hot" yoga class in Encinitas, CA in 2000. The friend that brought her said "this is really hard and its really hot and it smells really bad", Katie said "Oh, this is like New Jersey in the summer!" and liked it right away because it was hard and hot. She got a job taking care of wolves in the woods of New Mexico, so she started practicing by herself in her geodome. It wasn't until she moved out of the woods to Santa Fe, NM, that she took her first official Bikram yoga class. She also took classes in a horse's stall in the dead of summer in Albuquerque, NM, so that a new teacher could teach mock classes. She first met Bikram and his wife, Rajashree at a two-day seminar in Colorado in 2003 and asked question after question to get help with her postures. 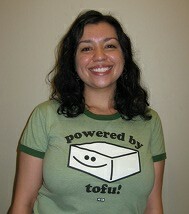 In the Fall of 2003 she moved home to NJ to start saving money to go to Teacher Training. There was a "hot" yoga studio ten minutes away from her home in NJ, but Katie preferred to travel 1 1/2 hours each way to go to a Bikram certified studio. This meant taking overnight shifts at the veterinary clinic where she worked as a Veterinary Technician, so she could go to class before her shift and in the morning after her shift. She says now "I try to improve my technique every single time I practice." This determination didn't happen overnight. In the studio in Summit, NJ which she claims is the hottest studio she's ever been in, "every time, especially getting to Locust, which was so hard to do and I would want to give up, I'd tell myself its just one more posture, and every time I did one more posture I became stronger and had more control of myself." Katie has had ADHD since childhood, and it led to a period of drug use and anorexia/bulimia. Her yoga practice helps her manage her ADHD, transformed her self-image and helped her with her body-image. When she started practicing "I hadn't been binging or throwing up for 7-8 years but my body image was horrible and I couldn't look at myself in the mirror and I always wore pants and a long shirt. Then, the more I practiced, the better I felt about myself and the better I felt about my body. I was happy with what I could do and see myself become healthy and strong. Over time I could do these poses with my body, these amazing postures and I saw that I was beautiful. This was the way my body was meant to move, unlike other sports." Katie says people always ask her what other activities she participates in that gives her pro-athlete physique, and she hesitates to answer them because its not a simple answer. "I do work on my body all the time, but that's not why I can do the yoga. The yoga mentally prepared me to do the other stuff and helped me believe I can do it." What other stuff you wonder? Well to mention a few, Katie went to Circus school in San Francisco one year, she does strength training at home, and she is currently a proud member of Team New York Aquatics, or as she calls it, "the gay swim team!" She's an animal lover as you can see by her tattoos, and has been a vegetarian since she was old enough to fight her parents for that right. Katie may seem intimidating to anyone who doesn't take the time to get past the tattoos and the skull-covered clothing, but take it from me, Katie is a geek in a cool package. If you ask her a question about something she's passionate about, (ie: Bikram yoga, swimming, pet care, motorcycles, being a vegan, sprouts) be prepared for a lengthy and thorough answer! She's a good teacher, because she's a good student and is always trying to learn more about yoga and improving her health. Don't worry about her trying to convert you to vegan-ism. I have eaten tuna in front of her and she doesn't make faces or dying fish noises. She claims "I do not like it when people push their beliefs on me, so I try pretty hard not to push my beliefs on other people, unless they're not locking their f***ing knee." 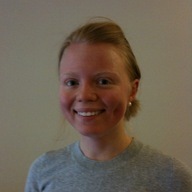 About halfway through her 101-day challenge, Rebekah feels great. 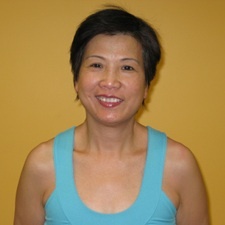 She began practicing Bikram in June 2009. Since that time she has participated in two 30-day challenges and at the beginning of 2010, she joined an international community of Bikram practitioners who are completing 101 classes in 101 days. More about the challenge is online. Rebekah said she is doing this "because I want to prove to myself that I can do it." Rebekah started practicing Bikram because she was suffering from severe knee pain that was affecting the rest of her life. She chose yoga as something she could do to help get her knees healthier so she could go on to do other things. "I had no idea how it [Bikram Yoga] would change me," she said. "After my first class I was pretty proud of myself," Rebekah remembers. She says that it was hard, but she wasn't discouraged. "I thought, 'I can do this,'" she said. Bikram has transformed Rebekah's life. She works in a high stress, events-driven environment. She reports that she is better able to focus on what is important and she has had tremendous health benefits from a huge decrease in knee pain to improved thyroid levels. She notes that a consistent practice has led to these improvements in her life. She points to hard work in every class - not participating in challenges - as the key to improving her body. "Every time my mind tells me to sit down, I look at myself at the mirror and remind myself that the improvements in my body are coming from working hard in each and every set of every posture and trying my hardest," she says. Giving yourself permission to have a bad day and coming into class with no expectations are some of the tips she gives to yogis everywhere. While many of us are busily hitting our snooze buttons hoping for a few more winks, there's a small but committed group already sweating it out in the 6 a.m. class at Bikram Yoga Bay Ridge. This month's student spotlight is all about these early morning yogis. They all report that Bikram at 6 a.m. helps give them a clear mind and focus for the rest of the day. 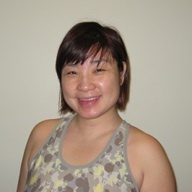 "Doing Bikram in the morning totally starts my day off in the right direction," Says Miki V. of her morning practice. "It gives me the energy I need to complete my day." "I was a scholarship athlete in college, still mountain climb and used to caddy as a job, this is by far one of the most physically difficult but rewarding things you can do for yourself," says Tom T. an avid athlete. Magaret D. finds that she feels more energetic all day and sleeps better at night since she started practicing Bikram yoga eight months ago. "There are usually much fewer people there, usually four to seven. 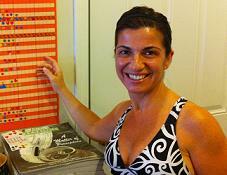 And you feel great and accomplished for the reminder of the day," says Elena F., another early morning practitioner. Elena is in law school and started going to the early morning classes because it was the only time that she could go. She keeps coming back because of how it helps her handle her stress. Adeline C. is another busy soul who finds 6 o'clock to be the best time to sweat it out. "Most of the things I have to do are all for other people and by doing the 6 a.m. class, I feel it is my time and I am taking care of myself first and others can wait," she says. So, inquiring minds want to know: what does it take to actually be there, in the studio and ready to stretch, strain and sweat for 90 minutes at this very early hour? Miki packs her bag the night before so she's ready to get up and go. Margaret also gets everything together the night before and drinks some extra water before she goes to sleep at night. Adeline says, "I don't think about it and just do it. The more I think about it, the more excuses I will create for myself to not do it." Tom started going to the early morning classes, "because I was tired of promising myself that tonight would be the night I go to yoga and never show up." Miki has some advice for those considering early morning yoga, "It's like the best kept secret. People really need to try it. You'll love it!" 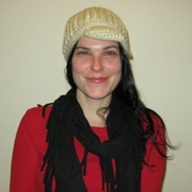 Lee started attending Bikram Yoga when her three daughters asked her to try it with them this past summer. "I thought this is something I can do it together with my daughters," she recalls. Now, Lee loves going during the week with one or more of her daughters. "It keeps us connected," she says. After her first class, Lee said she felt frustrated because she had a hard time understanding the instructor (English is not her first language). She wanted to take advantage of her intro week, so she kept going back and found that she enjoyed Bikram Yoga more with every class she took. "After class, I feel powerful," she says with a smile. At about the same time that Lee began practicing Bikram Yoga, she learned she had high cholesterol. Her doctor told her to exercise more and watch her diet. 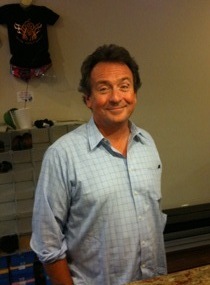 After three months of better eating habits and practicing yoga three times a week, Lee's cholesterol dropped 69 points. "Pretty much everyone I tell about my cholesterol, I tell to try this yoga," explains Lee. Her daughter, Mabel, says that her mother has told family, friends and neighbors to practice Bikram. "The first thing I tell people is to come on time. I came late once and the doors were already closed. At first I was angry, but later I realized that if someone comes in late, it interrupts everyone's practice. "I tell people that this yoga makes you feel relaxed. You are on a schedule. You have to be there on time and everyone does the same thing at the same time when the teacher tells you. You don't do it on your own time. You learn to be a part of a schedule." Lee's favorite posture is triangle. "I don't do it well, but when I do it I feel like a rocket shooting into the air. I feel like I'm free when I'm in this pose." Lee's advice to newcomers: "When you practice for the first time, don't look at the poses and think, "I can't do this at my age." That's what I thought the first time. But now, as my body has changed, when I push myself I can do it."